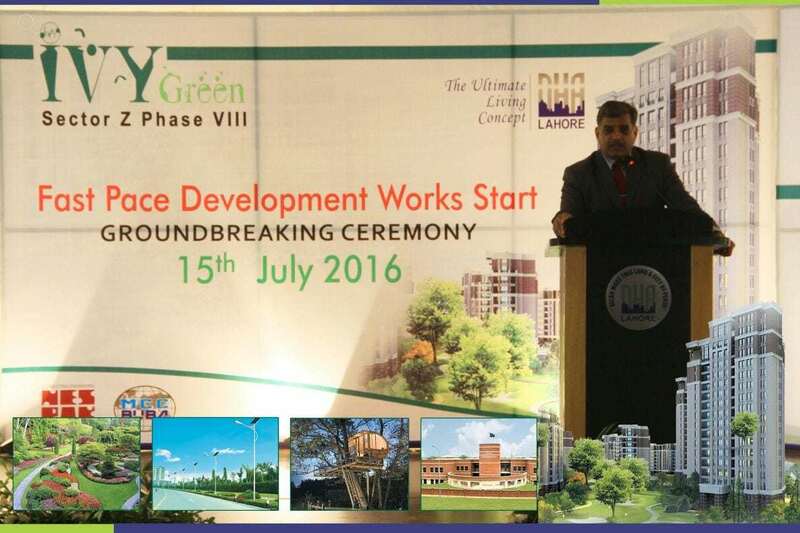 DHA Lahore IVY Green Phase VIII, Sector_Z Ground Breaking Ceremony by Administrator DHA Brig. Zafar Yasin Babar. 1-	How can I know about plot number allocation against my file? Is there any official email address for overseas customers I can reachout? 2-	When I am suppose to pay development charges? 3-	How long you advise me to hold this file and switch to another sector? For the maximum gain hold it till maturity. What about the Other charges I have paid like CVT, Property Tax which was about 5 lacs. The previous seller paid and collected from me. Will I get those also or not. As you mentioned that you have purchased an affidavit file. There is no CVT, Stamp Duty applicable on an affidavit file. If this is the case then you have purchased allocation file. You paid your expenses for purchase of allocation file. New buyer will pay his expenses for transfering allocation file. These goes to Govt. not to seller. I have affidavit of Phase 8 Z Block 1 Kanal. Would like to sell ASAP. Dear Sir Atif, I have bought a 1 Kanal Affidavit for Phase 8Z Block on 15 July, 2016. I am located in Abu Dhabi and paid about 96 lcs in total. I am looking to sell it it. I need money to start a business here and someone advised me to buy a land unless you decide for your business. Could you estimate with your experience, How much I can expect now within one week if I need to sell it. I have a file of State life phase -2 plot of 1 kanal and they don’t have land. So should I sale this file as I want to build a house for residence or I should wait? If I should sale it then where I should purchase a plot? It is better to switch with a reliable brand like DHA Lahore. what is the price of bahawalpur file now a days? It is good project for the vicinity also and hope that DHA will maintain its excellent standard of work within time. Good luck for such mighty project. At this uncertain situation nothing can be predicted. We have to wait next 1 or 2 week to situation get clear for any kind of predictions.